It was a great weekend of Singles action on the South Island as Gordon Head LBC and Canadian Pacific LBC hosted the 2017 BC Singles Championships. This was a chance for the Champion to get tuned up for the Canadian Outdoor Singles which will be held in Winnipeg, MB early next month. 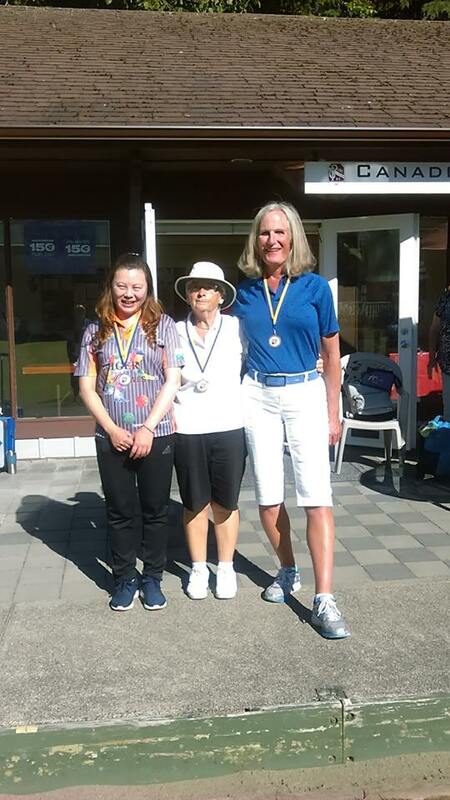 With some great action being played all weekend it was Mary Wright showing that she was the class of the field once again as she stock piled another Gold Medal to hit her trophy case beating Linda Ng in the finals. This is another podium finish for Linda as she is making her way up the ladder and showing that she is a leading contender in every discipline. Bobbie Charlton would hit the podium winning the Bronze Medal. In Men’s action Gord Fall returned to the Singles Final but was stopped with some great bowls being played by Ivo Bastelaere. If you know the last name its because its usually Ivo’s wife Ann collecting Gold Medals but he put on a great display and got over the line to win the BC title. It was Kin On Lau who took home the Bronze Medal and a special mention to now Northern boy Adam Kaufman who came in 4th place. Congratulations to all who participated in the event and thank you to all the volunteers, along with the continued great work from the Umpire Crew.